We’re getting ready to move back to the United States this year, so my family is slowly shifting from a focus on European history, to an American History focus. 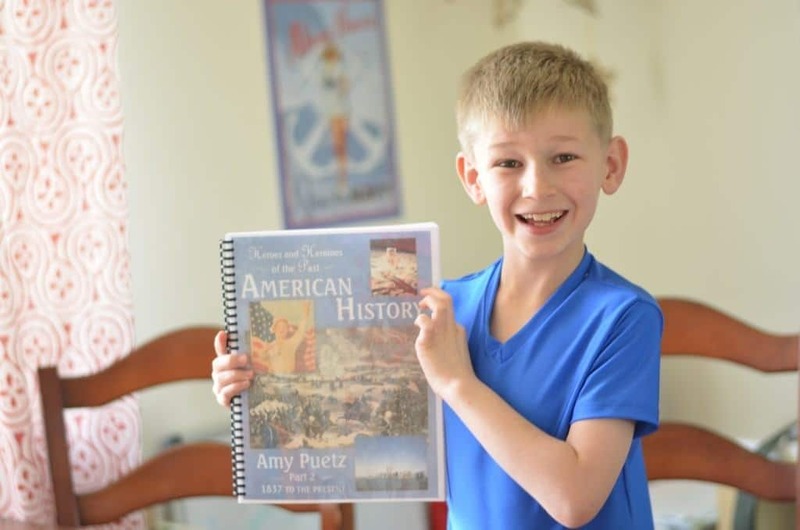 The Schoolhouse Crew was given a chance to review Golden Prairie Press‘ digital version of their Heroes and Heroines of the Past American History Curriculum, so I jumped at the chance to get started with some of America’s story. What is Heroes and Heroines of the Past? The reading includes brief overviews of historical events, and more in depth looks at the men and women who starred in them. The people centered focus is refreshing, and it’s wonderful to hear of the great things people have done in the history of our country. I love that this program incorporates so many different pieces, so the program is very well rounded. 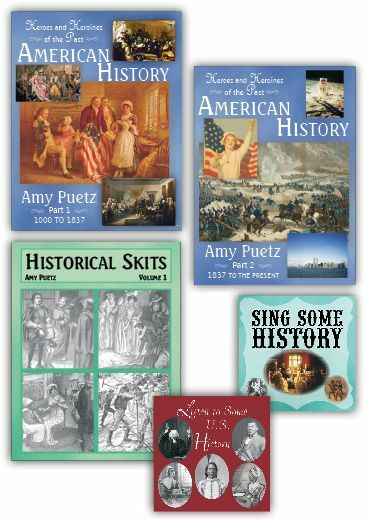 The Audio files are my favorite part- they are recordings of the actual source material- speeches, songs and other events that make history real and easy to relate to, instead of just being something you read in a book. The skits are 19 little plays your children can preform to make history fun. 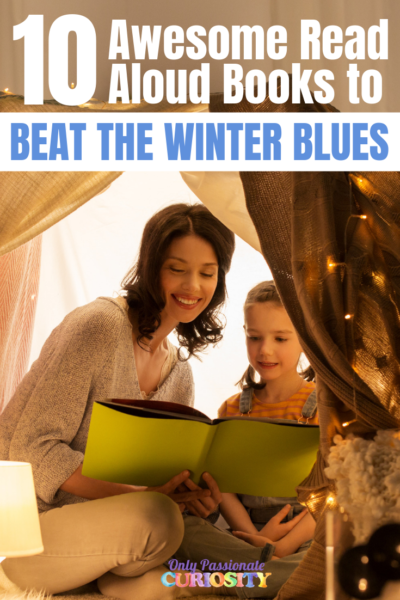 You only need 2-3 children who can read to preform them at home! I jumped into the middle of the second book with this program, since I am planning on covering Early American history when we move later in the year. I liked that it was easy to start anywhere I wanted in the book, instead of feeling like I had to go in order. I actually jumped around a little to briefly discuss WWI and WWII with the kids before we headed out on a couple field trips. 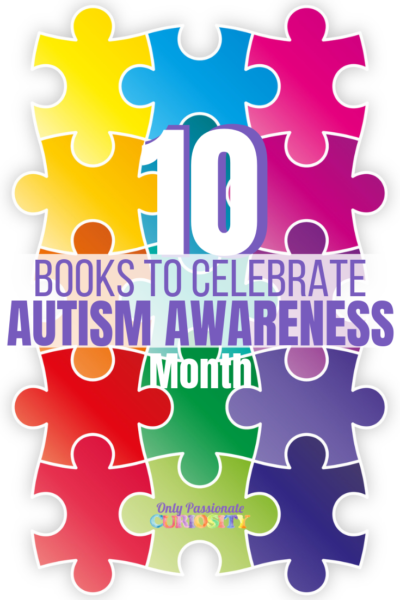 For each chapter, there is a text to read, and then some discussion questions, a writing activity, and sometimes a song, timeline activity, or other activity. The reading, is sometimes broken down into 1-2 grades, and an older selection; but much of the time, the reading is labeled 1-6th grades. Both selections were a little too detailed to hold the attention of my crew. At first, I had Bug (4th grade) read it aloud to Mr. Man (1st grade) but after a while, I would read it the night before, and then paraphrase it for the kids. The discussion questions and writing assignments we did orally, because I think they were aimed more for 4th-6th grades. In the chapters we covered, there were not many hands on activities. The thing we enjoyed most was listening to the audio files, which really helped bring history to life. 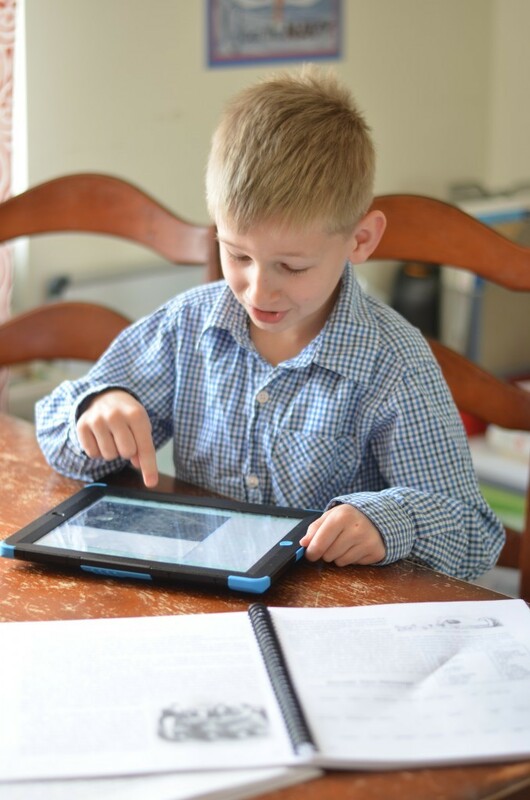 Bug enjoyed the lesson on the man who invented Morse Code- I downloaded an app for him to practice tapping out the code, and he was able to replicate the first message ever sent, and also create his own messages. I really like this program, but I do feel like we aren’t quite ready for it. To make the most out of it, you really need to be able to do the writing assignments, so this is going back on the shelf for me to bring out in a year or two. While it is recommended for grades 1-6th, I think it is most appropriate for grades 4-6th. A note on printing: I struggle with PDF curriculum for some reason (I think I just like the feel of a book in my hand) so when it comes to something like this, I almost always try and print it and bind it on my own. The problem is this file is SO large (we’re talking 600 pages!) and is full of beautiful pictures, so it takes a huge amount of ink and paper to get it done. In the end, I only printed about a quarter of it before I ran out of resources, and made due the rest of the time with the iPad. The problem with not printing it is that the occasional student activity is right in the text, so if you don’t print it, you won’t be able to do all the activities in the text as easily. I would really suggest the author create a separate, easy to print worksheet file with the activities that require writing in the text, so they are easily taken advantage of. As the file is right now, they aren’t practical to use, unless you have a large amount of printer ink on hand. There is a printed version available for the same price ($98.99 for the set shown here), but it is printed in all black and white instead of maintaining the beautiful color images of the PDF version (which is reviewed here). 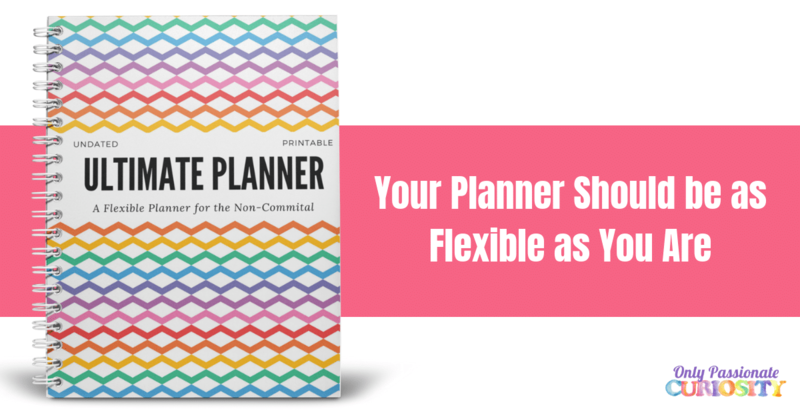 If you are going to use this program, grab the printed version, and save money on your ink. A note for secular homeschoolers: This product is Christian in nature, and does include Bible memory verses, and occasional religious references (for example, the solution to one of the puzzles is “Glory to God in the Highest”. It is easy adaptable to the needs of a secular homeschooler. Don’t just take my word for it! 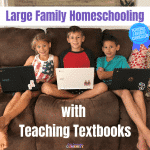 I struggled with the format of this program, but many more tech-savvy homeschoolers really loved it. If you like the sound of a people centered, narrative history program, please use the banner link below to read my crewmates reviews!